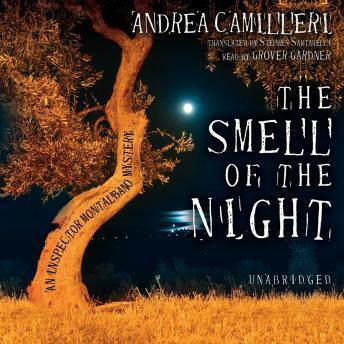 The sixth mystery in the Inspector Montalbano series, THE SMELL OF THE NIGHT brings the shady shenanigans of late twentieth-century international finance to small-town Sicily. A "financial wizard" entrusted with the savings of nearly half the retirees of Vigata mysteriously disappears with the money and a young man who worked for him. In a rather atypical case for Montalbano, the inspector finds himself initially shut out of the investigation by the ever-hostile commissioner Bonetti-Alderighi and forced to work from the shadows. I have not read any of this series before and I wouldn't again. It was difficult to follow all the names for the first half of the book, and I found it confusing to follow. I would not listen to any more of this series.